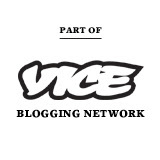 Mr Bingo's Hate Mail project features the kind of insults you wish you could muster in the heat of an argument. They're funny, cutting and just on the right side of childish. Since he began the project with a drunken tweet, he has posted out over 550 artistic insults on the the back of vintage postcards. Apparently there's alot of people out there desperate to be insulted. The Hate Mail exhibition at KK Outlet will feature 220 unseen postcards and there is the opportunity for the first 60 people through the door at the opening party (6th June) to get their own personalised piece of Hate Mail. Bring £40 cash, be one of the first 60 people through the door (we open at 7pm) on Thursday 6th June and you're golden. Opening Party, Thursday 6th June 7-9pm. 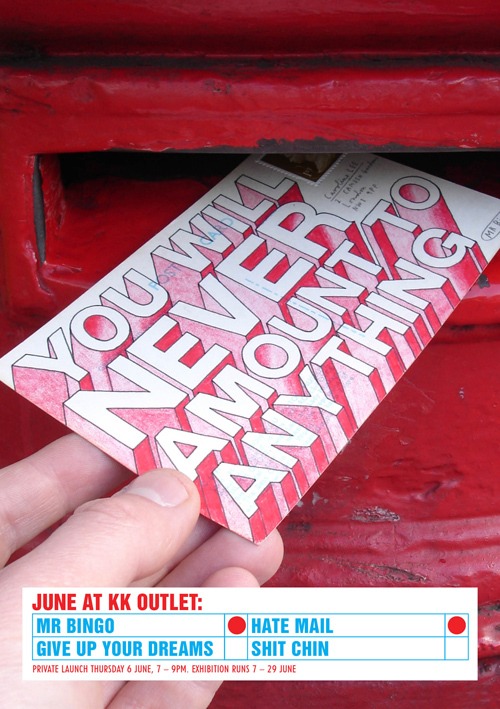 KK Outlet, 42 Hoxton Square, London, N1 6PB.